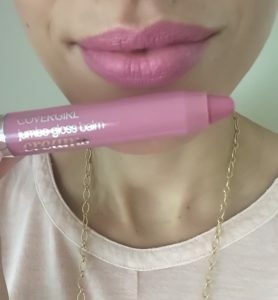 I prefer my lips have a bit of staying color while feeling hydrated, so I decided to test out these lip crayons. They promise to provide lasting color with moisture, which are different features than those of matte lip colors or glosses. Matte lip products make me feel like I’ve been trekking through the dessert without water, and glosses provide high shine but very sheer color. Lip crayons seem to promise the best of both worlds. But will they all do the trick? Slight, pleasant scent of fruit (due to fruit extracts). It felt like a classic lipstick as I applied it. After a few minutes, the texture transformed from blah to balmy and left my lips feeling moisturized. Also very pigmented with long-lasting color. Moisture lasted throughout wear, although the overall look is not as shiny as the Neutrogrena. Felt like I was applying an artist’s pastel to my lips- dry and almost chalky. Highly pigmented but very hard to blend. 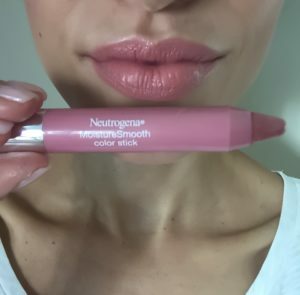 The winner here for me is the Neutrogena MoistureSmooth Color Stick. I chose it over the CoverGirl one because it provided a little more gloss, and I am normally a gloss girl. It also provided way more color than a gloss, which is what I was seeking. It definitely does have the best of both worlds because the moisture you feel as you apply it is very true and stays for the duration of wear. 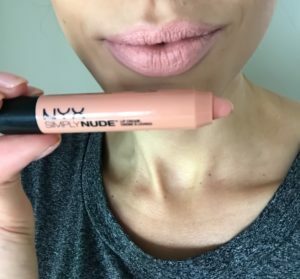 I would highly recommend it, and I cannot wait to try other shades! With winter on the horizon, it’s the perfect nourishing lip color. That’s what’s up in the lip crayon world. Have you tried any of these? Which one do you think looks best? Thank you! 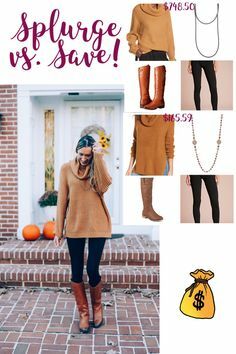 The first two are a great alternative to mattes. Going shopping tomorrow to look for it! Thank you. Loved this article! I’m going out to grab your top pick today! Thank you! I hope you enjoy it! It’s so moisturizing- no need for balm!